My love of motorcycles is old. It started in the early 1980s in Quetta. That’s when I got my first motorcycle, a Yamaha YB-100. I was in high school then and had been asking my father to buy me a full size bicycle since I had outgrown my old junior’s bike, a 14 inches red Sohrab. Instead, my father got me the motorcycle, which was a sweet surprise. The Yamaha cost us Rs. 13000, if I recall correctly. There were only two Yamaha dealers in Quetta then, both located on Jinnah Road. And it was the best-selling bike in Quetta, in fact, in the entire province then. 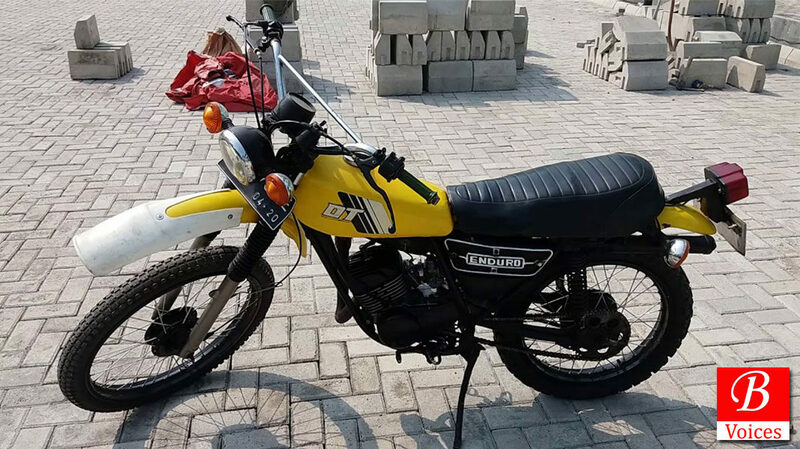 In big cities like Karachi and Hyderabad in Sindh and in other populous cities in Punjab, the Hondas ruled, especially the unbelievably fuel efficient Honda CD-70, available only in black in those days. The “mighty black mules” they were called. The day after the purchase, my motorbike was registered at the nearest motor vehicle registration office and soon after that I received a brand new pair of number plates, for front and back, marked: QAB-5098 (Quetta-B). In the absence of the Internet, smart phones and the 24/7 on-line games and social media culture—Facebook, Twitter, WhatsApp etc.— it was either outdoor sports like soccer, cricket and field hockey or, motorcycles that were the rage among the young and the young-at-heart then. Those who could afford and were into music either had their Sony Walkman or the cheaper Sanyo, Akai or Aiwa clones of the popular portable music player—the iPods of those days. 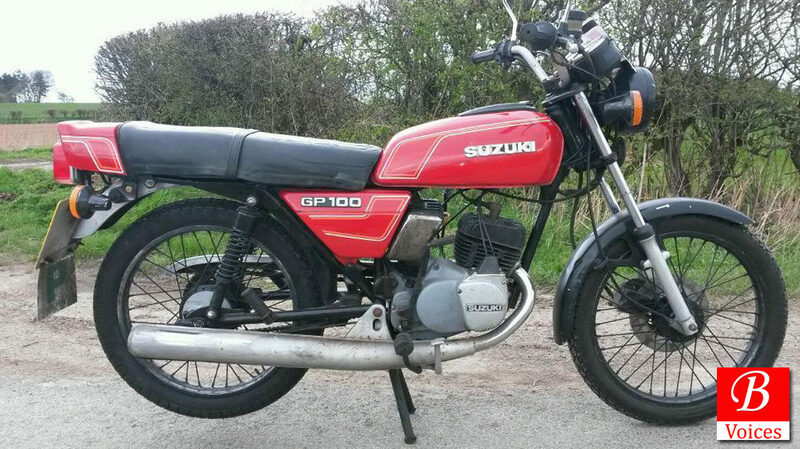 Like most things then, TV channels for example, there were not many bike models to choose from. There was also the strict government set limitation on the engine size or horsepower of the motorcycles— the “CCs” as they were called. The allowed engine size was 200cc then. The biker community in the city included people of different ages and professions, and its activities revolved around few well known personalities, mainly the mechanics and some daredevil types—the stunt riders, or the showmen. There were also the collectors, the loaded guys who waxed and licked their rare machines but hardly rode them! Among the mechanics, three or four stood out who were loved and respected by the bikers. They were all uncanny characters, eccentrics in their own ways. There was the famous Haji Ustad whose repair shop was on Masjid Road. Anybody who had some kind of connection with the universe of motorcycles knew him, directly or indirectly. A short guy with a gentle demeanor, always smiling but with sparkling, probing eyes, this highly skilled mechanic was the wizard of carburetor tuning, which meant he had the magic in his hands to make a bike race-worthy or race-ready. I don’t think anybody among the bikers knew his real name. He was just that: Haji Ustad. The waiting line of racing enthusiasts at his garage was as long as that of chronic heart patients at the posh clinic of Dr. Manaf Tareen, the most qualified, and therefore the most expensive, heart specialist and, if my memory is not failing me, the sole heart surgeon in Quetta in those days. Getting your bike tuned and test-driven by Haji Ustad was like getting a Fender (guitar) tuned by Eric Clapton or a Stradivarius (violin) appreciated and confirmed for its concert-readiness by Yehudi Menuhin! There was also Munir “Cowboy” Ustad. He was a real character. With garage on one of the side streets off the main Suraj Ganj Bazar, this mechanic was never seen wearing a shalwar kameez. He always wore ragged blue jeans, soaked in engine oil and grease, and colorful T-shirts. He had long, scraggly hair, in the hippy style. Soft spoken and a real laid-back guy, he resembled the legendary folk-rock singer Neil Young, the Canadian grand-daddy of grunge music. He was also a sort of rival of Haji Ustad. Typically, the bikers gravitated around one of these two motorcycle gurus. Munir Ustad had an old but immaculately maintained Yamaha DT-100 Enduro and was also considered its expert. 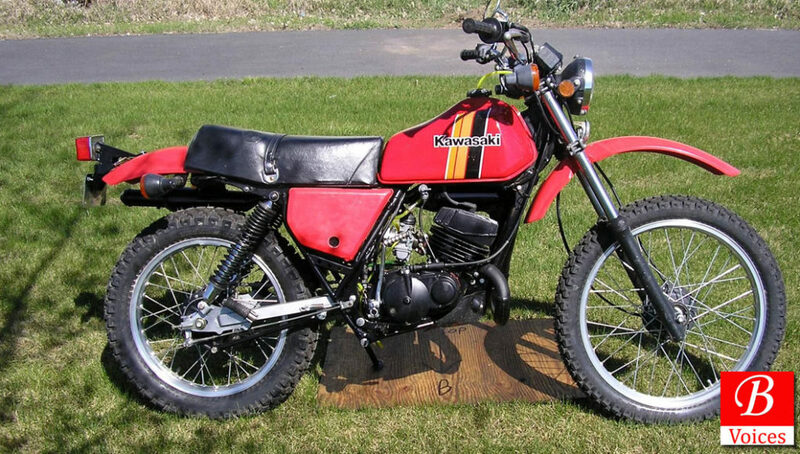 The Enduro was a particularly popular bike and what made a good bike of this model stand out from the rest was the booming sound from its exhaust pipe that neatly ran along the main frame under the seat, it being a trail bike. No disrespect to Muhammad Rafi or Talat Mahmood, in terms of acoustics the Enduro was clearly the Kishore Kumar of the motorcycles. I say Kishore because it was only Kishore Kumar whose voice had both the power and the resonance, especially in his joyous songs, a quality of sound also present in the Enduro and which set it apart from the crowd. This is part-1 of the two-part article series on this topic.